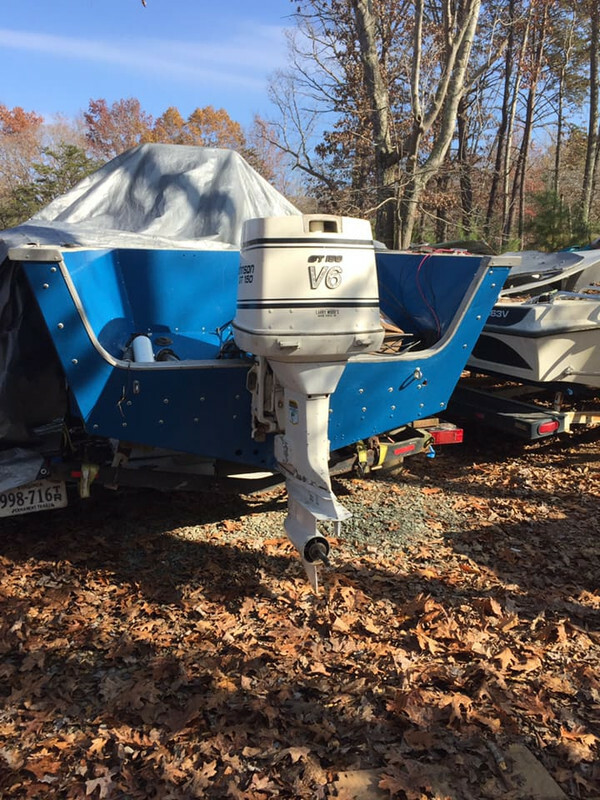 Good pitch to start with on motor/hull combo? I have a 1988 19' sea nymph center console. It has deep gunnels and a smaller splashwell (20"). 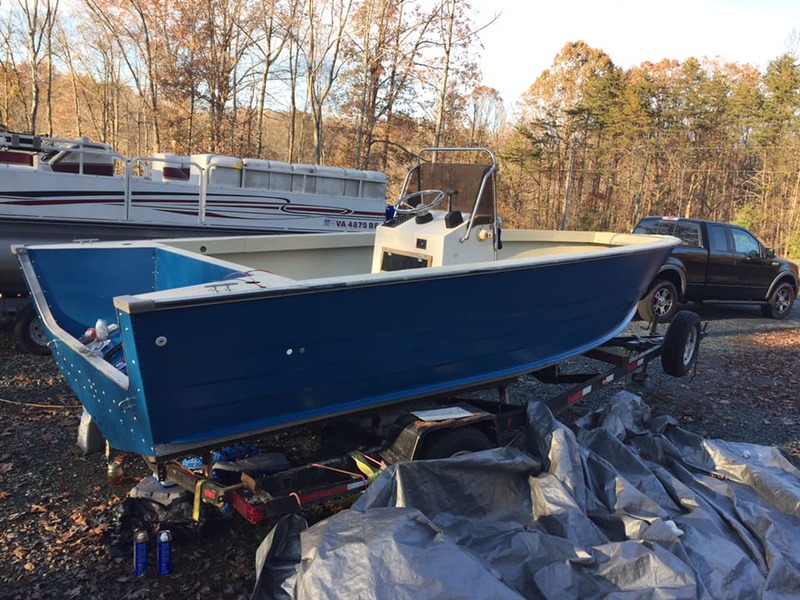 I gutted the boat and got all the foam out and doing some rivet repair. Anyways, the boat is 1000lbs. dry weight with a 7'5" beam. The boat had an evinrude crossflow v4 90hp motor on it. Guy said it did 30mph with 3 on board (and all the soaked foam!!) It is rated for a 140hp, so guess what I did? I bought a sweeeeettttt 1987 Johnson GT150. I absolutely LOBE those old V6's. I have three SS props for the motor. Two are 3 blade, one is 4 blade. All three props are 24p. Dangit!! Obviously I will make a run with them and see where I'm spinning at, but I was wondering what you guys thought a good starting point is. These motors/props were well suited for bass boats which are heavier but sleeker. I think this boat is gonna scream like a banshee!!! It doesn't matter how loud will engine scream as long it doesn't over rev its max wot rpm range as usually loaded. Need to know the min-max wot rpm range for that engine factory stated to play safely with props. Test any of both 3 blade props a a starter if being 100% exact same. If from different prop manufacturesrs could dial more or less wot rpm, only checkable on 2 different wot run test on flat water cond. Report your findings. WOT Rpm range is 4500 - 5500, the 24s are way too much prop for that combo.I would guess about a 19 AL would be a good starting point. You can experiment with engine height and higher performance props, and might squeeze 2 or 3 more mph out of it. I had the 17' version of that boat with a 90hp Merc. I had a 19p stainless turning 5100-5300 RPM...A 150 will make that boat very unstable at high speed! Trim tabs will be a must! 17 or 19 would be my first guess as well. From what I found, the GT150 has a 1.86 GR. Since you already have 3 24p props, try them. Check wot rpm and go from there. Cool thanks guys. I will try and get a 19 off a bud and see how she does. And Jimmbo Im with you, the 19' vs 17' is a big difference. Couldnt imagine a 150 on my 17' tinny!!!!!!!! Fellas do you guys think a 4 blade would be a good idea on a light hull like this? In a word NO, the extra blade will kill your top end even more. You say you removed a quantity of wet foam, and did some hull repair. Did you at some point check the hull with a straight edge for Hooks or Rockers? 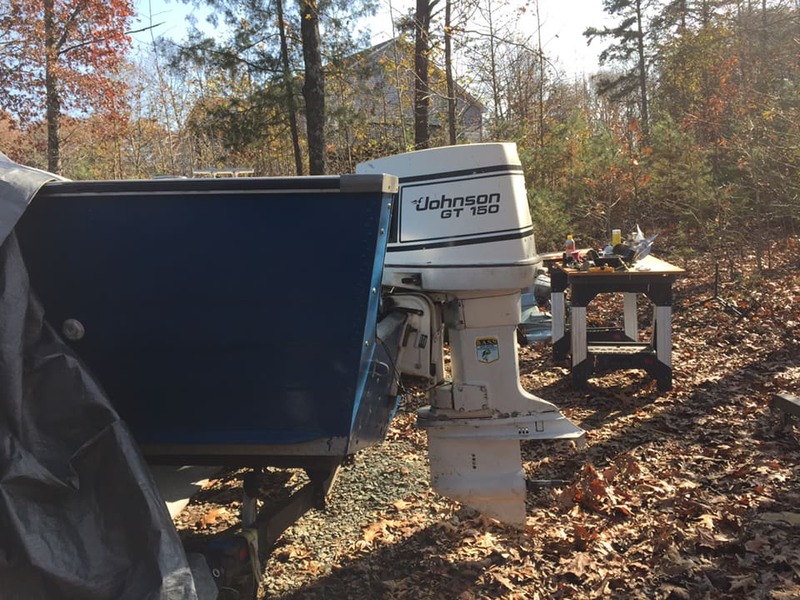 A 1000lb boat with a V6 150 should really haul backside. Even for a tin boat a 1000 lb aounds a little light for a 19 footer. I was running a 1998/2001(originally the Engine was 1998, then had a complete powerhead upgrade in 2001) 150 FICHT. on an 18ft Glastron it was getting about 55 mph with a 20 inch RAKER, and the engine mounted with the AV plate about 3 inches above the bottom of the hull. I know that can't be truly used as an apples to apples comparison but, it was quite a bit heavier than 1000lbs. I actually did check the bottom for hooks. Luckily she looks good to go. The weight of the hull dry on NADA says 1000, but we all know how NADA is on the older hulls. I put 3/4" floors in it and have a 200lb console. That and add 25 gallons of fuel, a 380lb motor a battery and a 25 gallon livewell and thats 1000lbs right there. The boat called for anywhere for a max capacity of 120hp to a 140hp in its years of production. Most that I have seen have a 90hp-115hp X-flow. I have seen a couple with 120-140hp loopers. The 90-115 is around 315lbs, the 120-140 looper is 370 and the v6 X-flow comes in at 380lbs, so I figured it was worth it to size up to the v6. Anxious to see how she is gonna do!!! There was an instance near me where a guy overpowered his boat and got in an accident and there was a fatality. 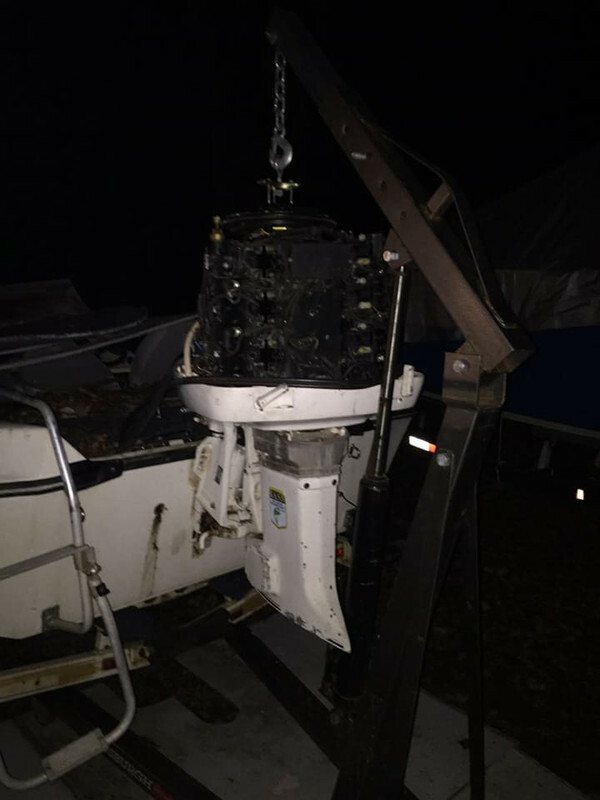 Insurance company investigated and denied the claim because the boat was overpowered. In addition to the guilt that he now lives with, he lost a huge civil lawsuit with punitive damages because he knew he overpowered the boat. He spent some time in jail for criminal negligence and almost got hit with manslaughter charges. He has since lost every asset he owned (cars, home, etc.) because of the lawsuit. 10 extra HP may seem like a great idea, but I would encourage you to stop and think about the consequences.